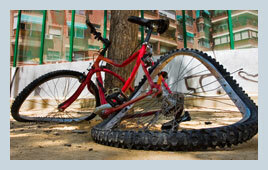 At Steele Law, P.C., we provide bicyclists with the support they need in the aftermath of an accident. Unfortunately, bicycle accidents often result in considerable injuries to bicyclists due to their vulnerability. The associated damages can be costly and the repercussions can last for months, years, even a lifetime. As a bicycle accident victim, you have the right to file a claim for your injuries against the person or company at fault. At Steele Law, P.C., our highly qualified Lewisville personal injury lawyers will work diligently to allow you to recover enough compensation to make a full recovery and get back on your feet. Call us today for a free consultation at (214) 333-4357. What Are the Bicycle Laws in Texas? Safe Passing – There is no statewide regulation that sets a specific distance for a motor vehicle overtaking a bicycle. However, general traffic laws dictate motorists to always pass on the left and to maintain a reasonable distance. Additionally, there are several cities in Texas in which 3-foot safe passing laws have been enacted. Dooring – In Texas, a person in a motor vehicle on the side facing traffic can open the car door only when it is reasonably safe to do so. In addition, a car door on the side facing traffic cannot remain open for longer than is necessary since the door may be in the way of moving traffic, including bicycles. Treatment as a Vehicle – According to Texas law, bicyclists have all of the same rights and duties of motorists in addition to the protections provided under specific bicycle regulations. Any motorist who causes a bicycle accident in the process of violating any of the aforementioned laws may be held liable for all resulting damages. The state of Texas has a reputation for being biased against bicyclists in car accident cases. Whether the belief has merit or not, you should not give up on your injury claim. Our aggressive attorneys have attained more than adequate settlements for many bicyclists. We know how to counteract the tactics commonly employed by insurance companies unwilling to pay up. We also have the skills to perform thorough case investigations and extract evidence that stands up in trial. When you're dealing with a system that may be working against you, you need the best legal representation available. And we are confident in our ability to provide it. Get the coverage you need for your medical bills, lost wages, and more by calling the hardworking legal team at Steele Law, P.C. at (214) 333-9393. Your future is our concern; your satisfaction is our top priority. Lewisville Bike Accident Lawyer Disclaimer: The legal information presented on this site should not be construed to be formal legal advice nor the formation of a lawyer or attorney client relationship. Any results portrayed here were dependent on the facts of a particular legal matter and results vary from case to case. Please contact an attorney at Steele Law, P.C. for a consultation on your particular case.